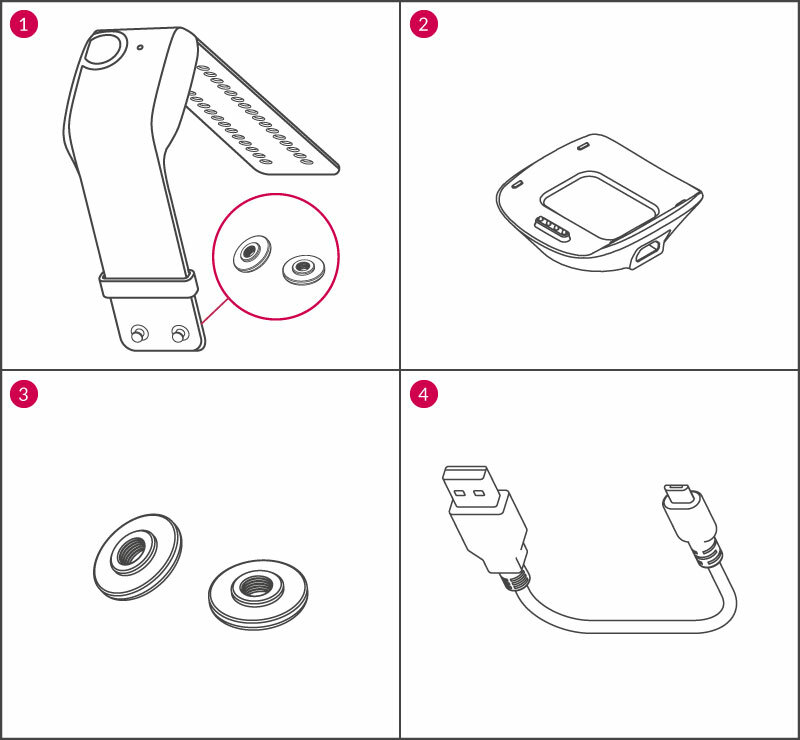 Follow this simple 10 step guide to quickly get up and running with your new E4 wristband. E4 connect allows you to view, organize, assess, and download the recorded data (from Recording Mode and Streaming Mode) on a secure cloud platform. With your E4 connect account credentials you can access all Empatica services. In this article we’ll explain you how to create your account and activate it. Registering an E4 connect account is required before you can start using Empatica’s services including the E4 connect web application, the E4 manager and the E4 realtime App. Go to the E4 connect Login Page and select the "Create Account" tab. Fill in all the required fields and click on "Create Account". REMINDER The email field is cAsE sEnSiTiVe. The email address will be used as your login ID so make sure you keep track of the case entered into this form. A confirmation email will be sent to the email address you entered. Follow the link in the email to activate the new account and complete the registration process. You can now login into your E4 connect account. The first time you login you will be prompted to update your password. The E4 manager is the desktop application to upload the data stored in your E4 to Empatica secure cloud storage and access with the E4 connect web platform. 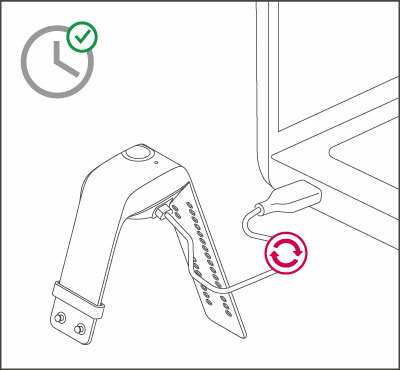 The E4 connects to the E4 manager using the charging dock and a USB connection. The following step-by-step guides will teach you how to download and install E4 manager on your Mac OSX and Windows PCs. Download and install the E4 manager on your Mac OS X computer. Download and install the E4 manager on your Windows computer. To assure the latest available firmware is used and the E4 has the correct timestamp, you need to synchronize the E4 with the E4 manager App. Launch the E4 manager application on your Windows or Mac OS X computer using your E4 connect credentials. Connect the E4 to the computer. The E4 manager will setup your device and synchronize the internal clock with the computer’s clock. Unplug the E4 from the USB. You will see on the E4 wristband the flashing green and blue LED light. 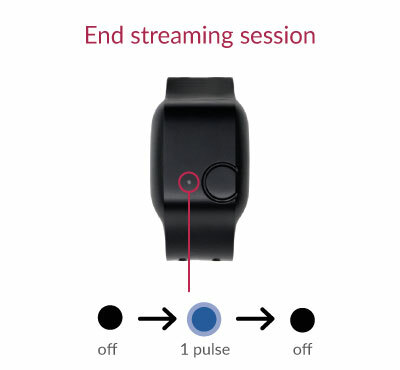 Running the E4 in streaming mode allows you to monitor physiological data from the device in real time over a Bluetooth® Low Energy connection. You can use our E4 realtime App, or build your own application for iOS or Android after you have applied for a Developer Account. Install the E4 realtime app on your compatible iOS or Android device. Check the compatibility requirements on the App Store and on Google Play. View sensor data in realtime. Easily zoom and pan to check your signals. Automatically upload data to your E4 connect account after a session ends. Prepare your phone make sure Bluetooth® is enabled on your compatible device. Launch the E4 realtime App open the App on your mobile device and login using your E4 connect credentials. 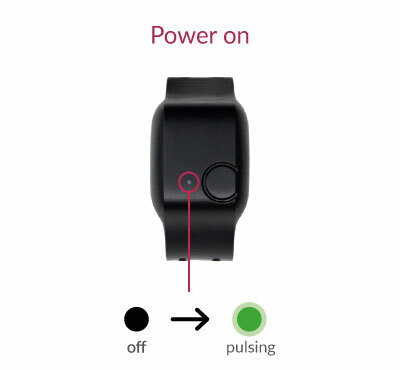 Power ON the E4 - when the device is powered off a 2-sec button press will power it on. The LED indicator will flash black and green. Start streaming - tap “CONNECT E4 AND START STREAMING” and select your E4 from the list. 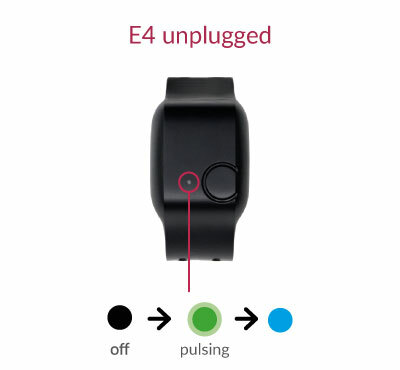 The E4’s indicator light blinks blue before fading. In a few second the real-time streaming starts. TIP for more information on the event markers check: Event Marking with the E4. Tap the button (<1sec) while streaming to tag an event. REMINDER Be careful to click and release quickly when entering a tag to avoid powering down and resetting the device. End session - press the "STOP RECORDING" button on the home screen. The E4 powers off and the session uploads automatically to Empatica secure cloud storage. 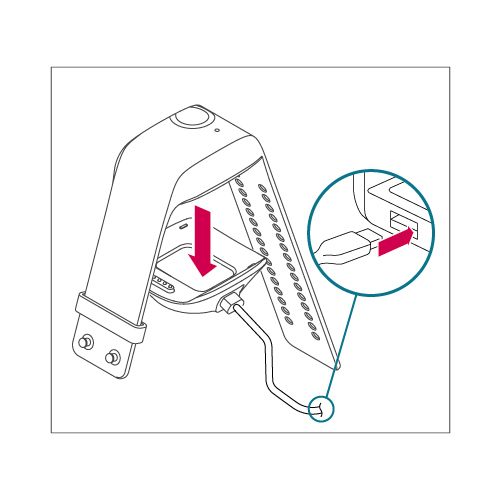 The E4 will also power off if the Bluetooth® connection is lost. e.g. is out-of-range. REMINDER when your device goes out of range while in streaming mode, it will stop recording data. E4 connect is an secure cloud-based repository to review and manage the data uploaded from the E4 wristband. It includes list and calendar views to navigate to a given session, a dashboard for data visualization and download links so you can access raw data with 3rd party applications. Securely store session data from Empatica E4 devices. Access data securely from an internet connected browser. View overview information for all recorded sessions uploaded to your account, including duration, device serial number, and session start date-time. Search them by calendar date, device. Click on "All Sessions" to get an overview of all recorded sessions. 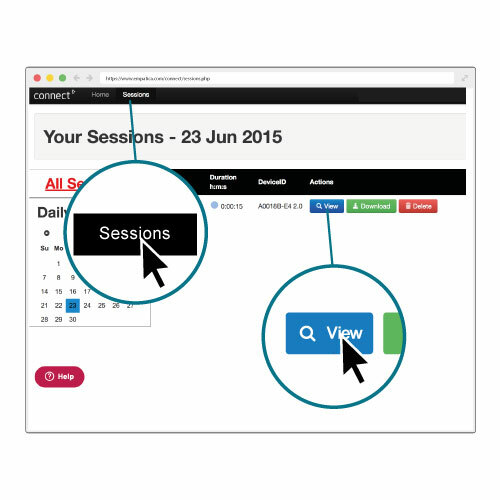 Click on “View” to enter the dashboard of your session. E4 connect allows you to access raw data in CSV format for all of your Empatica data. To receive it just click on the CSV button. Data can be downloaded using the “Download button” as a compressed directory (ZIP) containing text (CSV) formatted data and an explainer (info.txt) file. TIP to learn more data export check our dedicated article on how the data the can be exported. 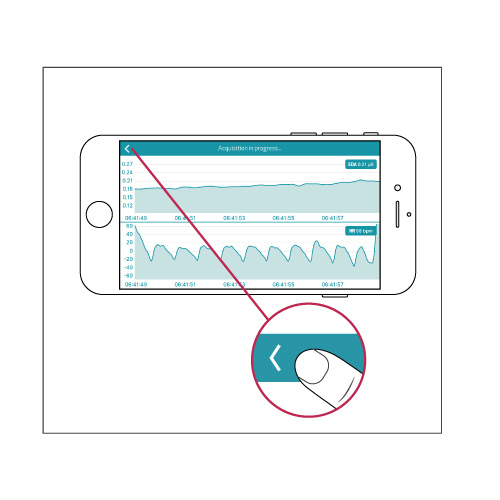 The E4 manager allows you to transfer the data recorded on your E4 device to E4 connect for visualization and for text file access. The following step-by-step guide explains how you can download the data on a Mac or on a Windows computer. Developers have access to API documentation, downloads, and device registration features to support application development. 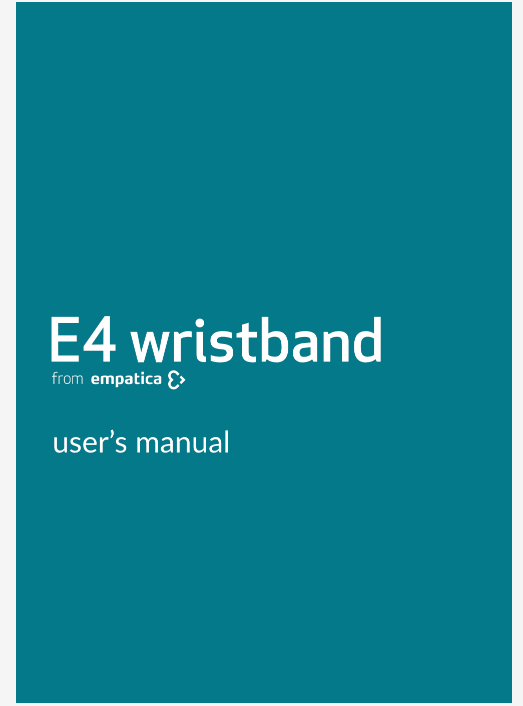 Empatica Customers with an E4 connect account can sign up for developer access. 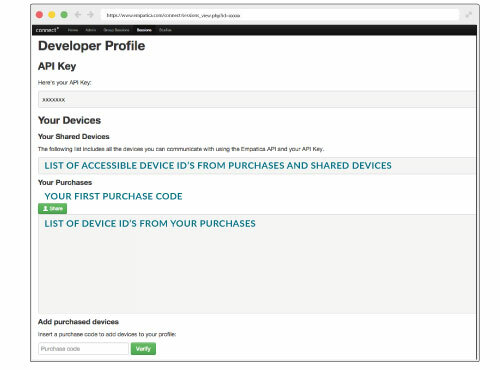 Developer enrollment also allows you to authenticate device purchases with an API key so their Empatica device may be used with 3rd party software. This article explains you how to sign up for a Developer access and register and share your devices with an Empatica purchase code. TIP For more information on developer tools make sure to check out our GitHub Page and our Developer Documentation. Login to your E4 connect account. If you don't have an E4 connect account yet you can create one if following the instruction described in the Create your E4 connect Account article. Follow the "Developer Area” link, you can find it in the upper right corner of the web page. 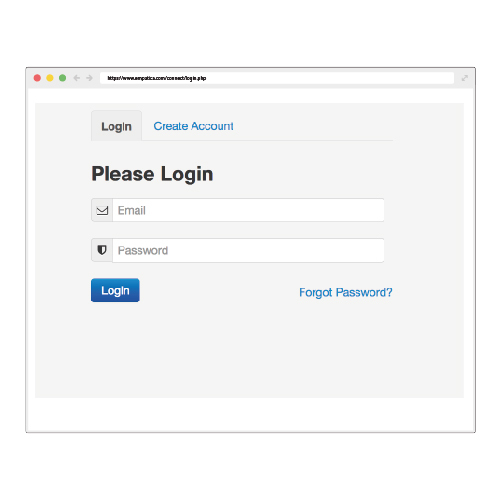 Request developer access by following the dialog on the login page. Please make sure you explain what you plan to develop. The feedback on your request is immediate. You will receive a confirmation message right away. TIP If you are having trouble getting authorized please let us know by creating a new support request. Developer applications are restricted for use among verified devices that have been associated with a developer’s account though purchase verification or sharing. 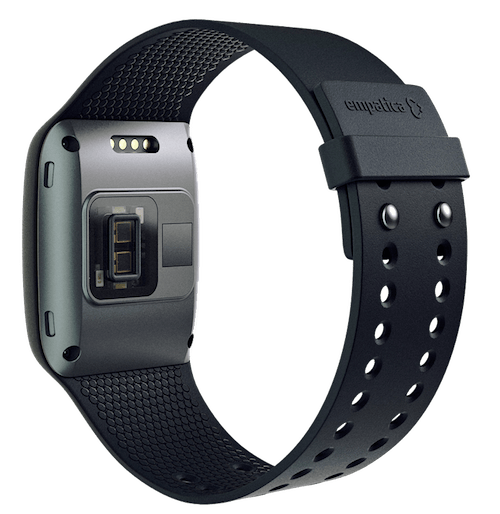 After each device ships Empatica will send a shipping confirmation email that includes an Empatica "Purchase Code". This code will be necessary to register your device. Enter the purchase code in the space provided and click "Verify" to authenticate the devices associated with that purchase. Repeat this step for any additional purchases. You may now use the API key listed the this page to connect to your registered device from your custom/3rd party application. TIP If you can not find the purchase code for your device check with the shipping contact at your organization. In the event that a purchase code is lost, please contact Empatica’s support team with your device’s serial number for assistance. 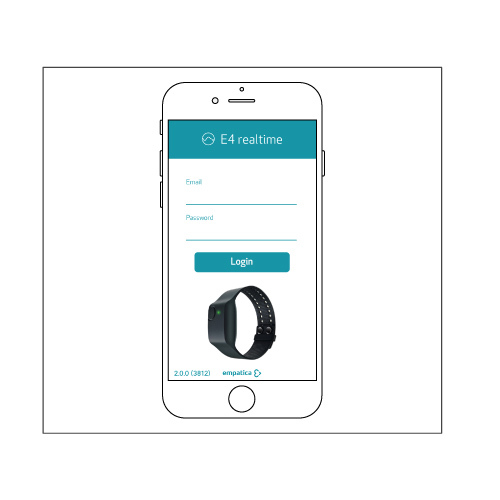 A device owner can use the “share” button above each purchase to add developer access to existing E4 connect account holders. Once shared, the device will be listed under the “Your Shared Devices” list.